For many years, I have hoped and prayed for the demise and disillusion of OPEC. Yes, I have prayed that the oil rich Muslim nations which make up OPEC would simply go broke and go away. Now while that is still not taking place, with free-falling oil prices that day may come sooner than I had thought. Yes, it is true, and we can all thank the American energy boom for generating shale oil while weakening OPEC's ability to keep the cost of a gallon of gas and petroleum-based products so high. In just a matter of months, the price of a barrel of oil has dropped from more than $100 to about $70, and gas is now cheaper than it has been in almost 6 years. A recent report conducted for the American Petroleum Institute claimed oil would cost twice as much as it does now if it weren't for America's fracking boom, which wrings oil and natural gas out of shale miles underground. Shale is a fine-grained, clastic sedimentary rock composed of mud that is a mix of flakes of clay minerals and tiny fragments of other minerals, especially quartz and calcite. The ratio of clay to other minerals is variable. Shale is characterized by breaks along thin laminae or parallel layering or bedding less than one centimeter in thickness, called fissility. Shale oil is the liquid and gas trapped between the layers of shale. The oil and natural gas is extracted in its current form by various techniques including traditional pump systems as well as fracking. Oil shale was one of the first sources of mineral oil used by humans. Its earliest recorded use was in Switzerland and Austria in the early 14th century. In 1596, the personal physician of Frederick I, Duke of Württemberg, wrote of its healing properties. Shale oil was used to light the streets of Modena, Italy at the turn of the 17th century. The British Crown granted a patent in 1694 to three people who had "found a way to extract and make great quantities of pitch, tarr and oyle out of a sort of stone." 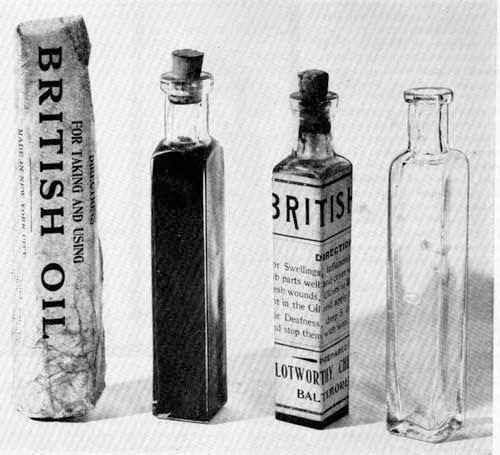 Later sold as Betton's British Oil, the distilled product was said to have been "tried by divers persons in Aches and Pains with much benefit." Shale oil was used in America for heating in 1821. Modern shale oil extraction industries were established in France during the 1830s and in Scotland during the 1840s. The oil was used as fuel, as a lubricant and lamp oil. The Industrial Revolution had created additional demand for lighting. It served as an alternative to the increasingly scarce and expensive Whale Oil. During the late 19th century, shale-oil extraction plants were built in Australia, Brazil and the United States. And yes, China (Manchuria), Estonia, New Zealand, South Africa, Spain, Sweden, and Switzerland produced shale oil in the early 20th century. The discovery of crude oil in the Middle East in 1939 brought most of these industries to a halt, although Estonia and Northeast China maintained their extraction industries into the early 21st century. In response to rising petroleum costs at the turn of the 21st century, extraction operations have commenced, been explored, or been renewed in the United States, China, Australia and Jordan. Hydraulic fracturing, also known as hydrofracturing, hydrofracking, fracking, or fraccing, is a well-stimulation technique in which rock is fractured by a hydraulically pressurized liquid. While air pressure is being used more and more, the usual method of fracking includes a high-pressure fluid using mostly water is injected into a well bore to create cracks in the deep-rock formations through which natural gas, petroleum, and brine will flow more freely. When the hydraulic pressure is removed from the well, small grains of hydraulic fracturing hold the fractures open once the deep rock achieves geologic equilibrium. The hydraulic fracturing technique is commonly applied to wells for shale gas, tight gas, tight oil, and coal seam gas. Such well stimulation is commonly used to increase flow rates. While a lot of folks are under the impression that fracking is something brand new to the world or that it is restricted to the United States, fact is fracturing (fracking) as a method to stimulate shallow hard rock oil wells dates back to the 1860s. Back then, dynamite or nitroglycerin detonations were used to increase oil and natural gas production from petroleum bearing formations. On April 25, 1865, Civil War veteran Col. Edward A. L. Roberts received a patent for an "exploding torpedo". It was employed in Pennsylvania, New York, Kentucky, and West Virginia using liquid and also, later, solidified nitroglycerin. Later still the same method was applied to water and gas wells. Stimulation of wells with acid, instead of explosive fluids, was introduced in the 1930s. Hydraulic fracturing began as an experiment in 1947, and the first commercially successful application followed in 1949. As of 2012, there are over 2.5 million hydraulic fracturing operations worldwide on oil and gas wells. Less than a half of all fracking operations in the world are taking place within the United States. So, while the United States and other countries use fracking to recover oil down miles into the earth, OPEC has taken a hit because their product is becoming less and less desirable for as a source for manufacturing and fuels. OPEC, the cartel of oil-producing nations that has historically been able to calibrate the price of oil -- and ultimately the price of a gallon of gasoline -- by increasing or decreasing suppl-y, announced this last week that it won't fight the price skid by cutting production this time. What does that mean? Well, that likely means prices will continue to fall, and the more costly production technique of fracking could become cost-prohibitive. Drivers have benefited in recent months from the falling prices, the API study found. “This reduction in petroleum product prices have saved U.S. consumers an estimated $63 to $248 billion in 2013 and estimated cumulative savings of between $165 and $624 billion from 2008 to 2013,” stated the report. OPEC decision to maintain a production target of 30 million barrels a day is seen as a reflection of its members view that the short term pain is necessary to pressure rival producers in the United States who need moderate oil prices to break even. Saudi Arabia, the leader of OPEC, appears to be hoping to drive prices below the level at which shale oil production is believed to be economical. 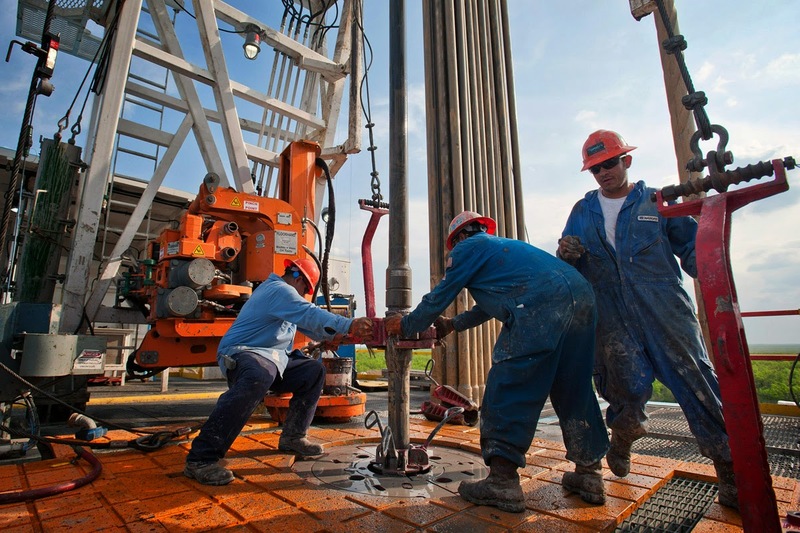 Experts say shale oil production turns too costly at the $60 a barrel level. On November 28th, 2014, the price of a barrel of oil fell 7% to below $68 a barrel a day after the Saudi-led OPEC decided not to cut output. And yes, the Saudi plan could leave markets over-supplied. The 7% decline was the biggest one-day drop since May 2011. The intention of the Saudi-led Organization of Petroleum Exporting Countries (OPEC) plan is to slow oil development and subsequently production around the world -- but especially slow production here in the United States. While OPEC is betting that the United States cannot find ways of producing a barrel of oil for less than $60 a barrel, other OPEC countries may not be able to withstand the steady production and the falling prices that strategy brings. Fact is, OPEC members that have become accustomed to gouging the world, lining their pockets with the problems of others trying to make ends meet, all while lavishly spreading the plague call Islam. "I think you're going to see additional tension between the OPEC ranks," said Jamie Webster, senior director of crude oil markets at IHS consultants. OPEC members like Venezuela and Nigeria need levels close to $100 or above to fund their National budgets. In the last few days, oil speculators agree "from Venezuela to Argentina, oil's steepest plunge in three years is reverberating through a region that accounts for the largest crude reserves outside of the Middle East." Crude oil prices falling is due to the United States shale oil boom and lower consumer demand. These factors are putting pressure on producers to cut spending and streamline operations to ensure profitability. And yes, some project development and drilling operations in South America are decelerating. But, the Saudi plan does not take into concern South American oil producers or even other Muslim oil nations such as Iran and other supporters of terrorism. Its main goal is targeted at slowing oil development around the world -- and specifically shutting down American shale oil operations by driving the price of a barrel so low that it forces Americans out of business -- but frankly, the Saudi plan of making oil production in America too costly to produce may not be working. Iran and other Muslim nations are suffering too. In fact, the Saudi plan may hurt the goals of the Muslim nations a lot more than it will hurt our country. Remember, the Muslim oil rich nations have prospered but spent foolishly. Instead of creating nations where their people prosper, Muslim nations have a two-tier society where those connected to the government or the religious sect are wealthy while the rest of their people are poor. Also there is the other issue of spending their money on terrorism and the spread of Islam. In the last 40 years, since OPEC has become the leaders of the oil world, those Muslim nations have spent billions of dollars on building Mosques all over the United States, Europe, Malaysia, Indonesia, and in Australia. The oil rich Muslim countries have made no bones about spreading Islam by building Mosques. They see the spread of Islam as conquering territory -- no different than funding invading armies. Al Qaeda and ISIS are both funded by Saudi Arabia and its Muslim oil. Iran's nuclear program, and their desire to obtain Nuclear Weapons to destroy Israel is being funded by the oil that that Muslim nation sells. Basically, this all means that the less the price of a barrel is -- the less Muslim nations will be able to finance the spread of Islam, finance terrorism, finance Iran's nuclear weapon's program. There is another thing, the less a barrel of oil costs, the less money that Muslim oil rich nations get for a barrel of oil, the less money Muslims will have to fund Environmental and Political Extremists here in the United States. If American oil producers can sustain production with a barrel of oil at $60 or lower, then I believe that Americans may see a day when OPEC has self-implodes from its own greed and Muslim desire to take over the world around us.